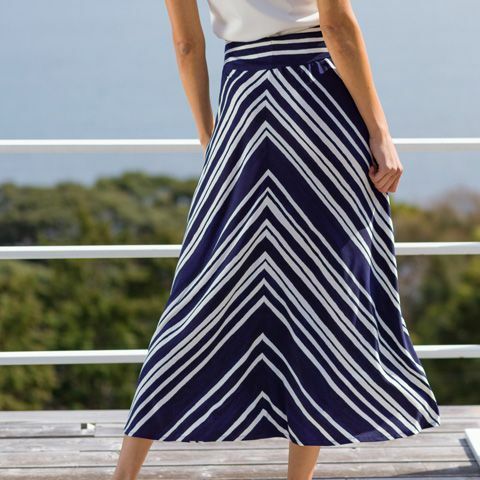 Sail away in our long skirt, featuring pretty flare design and flattering white on navy diagonal stripes. The stretch waist keeps you comfortable all day long. Pair with a kay me designer t-shirt with hidden inspiration message just for you. 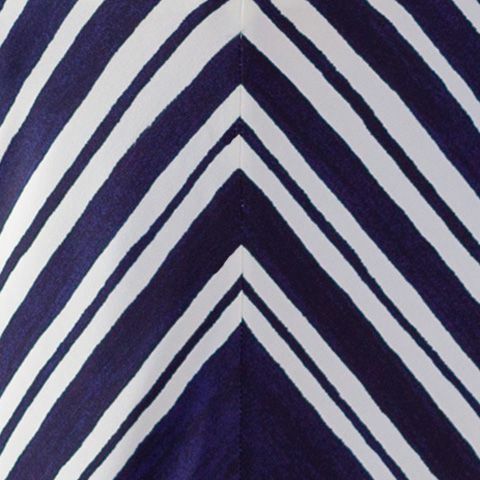 Painstakingly pattern-matched by hand, our stripe skirt is a work of art. With a feminine flaring A-line shape, our long-length skirt looks great with both sandals and sneakers. Designed with comfort in mind, the stretch waistband provides support that flatters your natural figure.